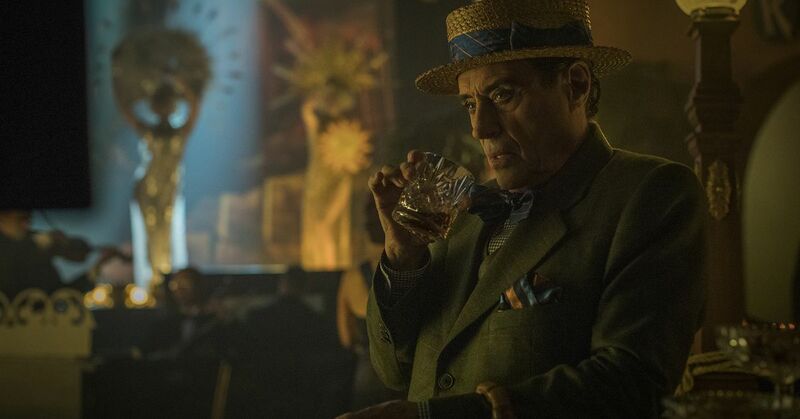 The second season of American Gods just premiered on Starz this past week, and fans can breath easy: Deadline reports that the network has renewed the series for a third season, and has brought on Hemlock Grove and Walking Dead producer Charles Eglee to serve as showrunner. Based off of the classic fantasy novel by Neil Gaiman, American Gods follows a former convict named Shadow Moon (Ricky Whittle) who is pulled into an epic battle between factions of old and new deities when he’s hired by a mysterious man, Mr. Wednesday (Ian McShane) to act as a bodyguard and driver. While Starz quickly renewed the show after it premiered in 2017, the series experienced a considerable amount of turmoil soon after. Showrunners Bryan Fuller and Michael Green left over budget and creative issues, leading to the departure of prominent cast members Kristin Chenoweth and Gillian Anderson. Starz brought in Jesse Alexander to head up the show in their place, but was later fired-but-not-fired from the series over continued delays with the production. Those production woes delayed the premiere of the show’s second season until earlier this week. Those issues seem to have taken a bit of a toll on the resulting season. The departures of Anderson and Chenoweth forced the show to untangle some of the storylines left hanging at the end of season one, and at least initially, the series hasn’t seemed to have found its footing, although reviewer Samantha Nelson says that there’s potential remaining in the series. With the appointment of Eglee as showrunner, this upcoming third season will be able to avoid some of those problems, and keep the show on track to debut on Starz in a more timely manner.